The historical Luddite has semi-mythical origins. 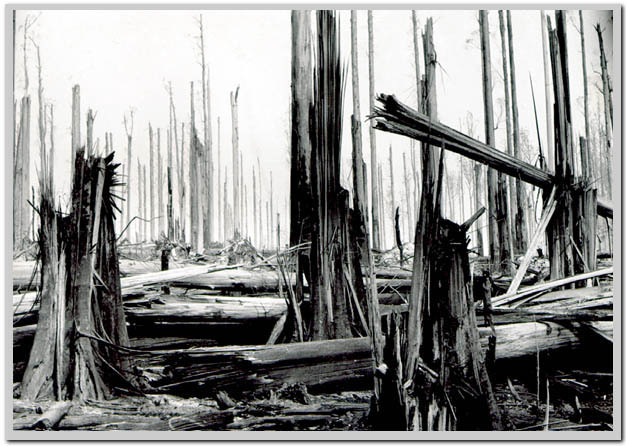 Like his fellow legend Robin Hood, the young Ned Ludd was said to inhabit Sherwood Forest. In those leafy surrounds, during the period we now call the Industrial Revolution, this mastermind of civic resistance plotted his campaigns of machinery-wrecking. Except he didn’t. There was no such person. Though commemorated in song by Steeleye Span and others (nicknamed either King Ludd or General Ludd by fabulists), he lacks historical substance. Reports of this youth who allegedly broke two knitting frames during a fit of pique in 1799 were attributed to a weaver from the Leicester area called Edward Ludlam (or Ludnam or Lud). But we have no more evidence than a sole anecdote published a generation later to substantiate this eponymous revolutionary. Instead there’s just a kind of late 18th Century meme of Che Guevara proportions, whose biggest contributions to culture are direct action and an anti-technology sneer. In Ludd’s name, riots exploded during the Napoleonic War years, at a time of rising food prices and the mechanisation of England’s textile factories. ‘Luddites,’ as they came to be known, took violent objection to wide-framed automated looms that put skilled weavers out of a job. These devices could be operated by unskilled and semi-skilled workers, who were paid less. Starting in 1811, the Luddite movement spread as rioters broke machinery and burned down mills across the country. They met by night, drilling like a militia, and prepared to face soldiers of the British Army. As expected, suppression of their movement was brutal. Penalties meted out to Luddites included imprisonment, execution or transportation to the convict colony of New South Wales. Twenty years later, an agricultural variant emerged in the Swing Riots. An updated Ludd figure known as Captain Swing represented downtrodden workers who vented their anger on horse-powered threshing-machines that took the jobs of labourers. Destructive behaviour such as rick-burning and cattle-maiming added a terror element to these tactics. 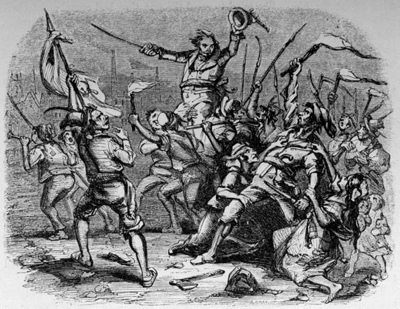 The rioters were also protesting against inequities of the tithe system (one tenth of the parish harvest funded the church) and the Poor Law. So why ‘swing’? There are several plausible explanations, such as the swing of the scythe or the swing of an axe, though the likeliest is the embodiment of an angry man brave enough to chance the hangman’s noose and to swing from the gibbet. So much for historical Luddites: what of neo-Luddites? Today we use the word to describe those among us who are either slow to adopt new machinery or else inimical to ever-increasing changes in technology. Though management consultants are fond of such clichés as ‘change is the only constant,’ the real culprits in the name-calling department are early adopters of new technology. Those bandying the term ‘Luddite’ around often include members of a rival, and frequently younger, clique. They threaten the status quo with their eagerness for innovation. J M Keynes referred to Luddism as an understandable fear response to ‘technological unemployment’. Such changes may arrive under the label of ‘automation,’ ‘mechanisation,’ ‘digitisation’ or ‘computerisation’. Or they may come gift-wrapped in phrases like ‘process improvement’. All these examples of managerialist jargon add up to the same thing: obsolescence of jobs. Ned Ludd never needed to endure waffle like ‘business re-engineering,’ ‘productivity enhancement’ or ‘role harmonisation’. But it’s the same inexorable march of machines. 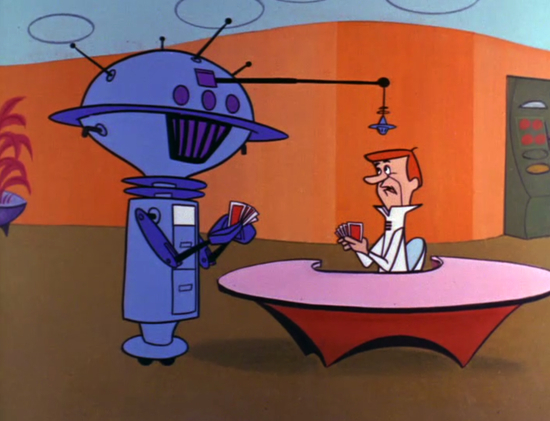 At the extreme end of this syndrome stand the Terminators (a cyborg breed dedicated to eradicating the human race) or else the comical figure of George Jetson living and working in the year 2062, who complains: “These 3-hour weeks are murder”. Writing in the 1930s, John Maynard Keynes imagined a future where a major problem for people would be how to expend their vast leisure time. HG Wells predicted that technology could devastate the world. Gene Roddenberry hoped that we would explore the stars and overcome our Luddish tendencies. In 2013, those who take up the mantle of Ned Ludd and Captain Swing are more than just grumpy buyers of the latest iPhone 5 who resent having to learn new operating procedures. They are more than so-called ‘technophobes’ disliking the change from print books to e-books. They are more than those who bridle at periodic changes to Facebook or having to learn a new database at work. Neo-Luddites are takers of direct action, like the Luddites of old. 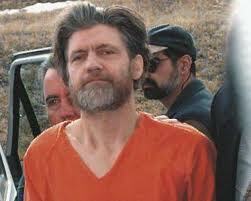 The infamous ‘Unabomber,’ Ted Kaczynski, was a Neo-Luddite. During his terrorist campaign, mail bombs in the US killed 3 people and injured 23. And in his manifesto, Kaczynski blamed the Industrial Revolution and its consequences. Far more benign and effective Neo-Luddites include such diverse agents of resistance as the hippie movement, the Amish, the Mennonites, and anyone advocating sustainable agriculture and subsidised renewable fuels. Many, if not most, of these are opposed to globalisation and to unchecked industrial capitalism. They are concerned less with smashing machinery than with exploring the harmful effects of climate change, of structural unemployment and of social alienation. Nuclear proliferation and weapons of mass destruction trouble these Neo-Luddites as much as bio-engineering and artificial intelligence, surveillance technology and cyber-warfare. Neo-Luddites almost all favour re-acquaintance with the natural world and weaning ourselves off dependence on the technology I’m using to type this. They favour a return to more harmonious community living, such as the ‘earth-ships’ of New Mexico, remote from noxious fumes and electromagnetism of overcrowded cities. In 1990, Chellis Glendinning published ‘Notes towards a Neo-Luddite manifesto’ in which she claimed that Neo-Luddites are “20th century citizens: activists, workers, neighbors, social critics, and scholars; who question the predominant modern worldview, which preaches that unbridled technology has represented progress.” Glendinning is Obi Wan Kenobi to Kaczynski’s Darth Vader. She believes that Neo-Luddites are not against all technology, only those forms of technology which are destructive to communities. So next time your email server goes down at work or the Wi-Fi misbehaves, why not take a mini Earth Hour and step outside? Sniff the air. Remember what the sky looks like. Maybe you could try leaving the phone behind when you go… and your watch. Feeling oddly naked? ‘Coin words till their decay’ wrote Shakespeare in Coriolanus, Act 3, Scene 1. Each year we see new coinages. Some survive, some die, and some linger in a linguistic half-life. 2013 has given us plenty of neologisms that could last beyond a single a news cycle. And a few of these might even be with us for more than a generation. It’s the usual story with language evolution. I really can’t see ‘twerking’ lasting the distance, though ‘selfie’ might: a strong contender for long shelf-life. Srsly. Technology contributes many recent coinages; though whether these are truly long-lived or merely ‘buzzworthy’ will depend less on software development than the integration of language and social function. For instance, the ‘unfriending’ and ‘unliking’ we associate with Facebook or the ‘unfollowing’ or ‘hashtag’ of Twitter could outlast vogue phrases like ‘double denim’ but only if social media in its current forms continue to dominate. I did enjoy ‘omnishambles’ in 2012. The word first appeared in the British political satire In the Thick of It, and I hope this one stays the distance: a latter-day SNAFU. 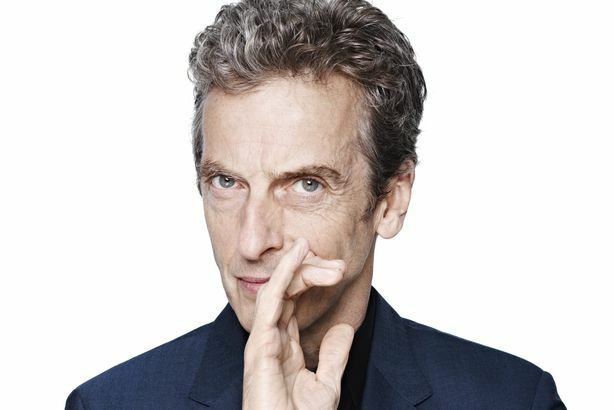 It came from the expletive-spitting mouth of party spinmeister Malcolm Tucker, played by Peter Capaldi, who happens to be the new Doctor Who. I suspect he’ll make his own lexical contributions in that role. The fifty-year-old science fiction series has made its own contributions to English: including ‘TARDIS,’ ‘daleks,’ ‘sonic screwdriver’ and even ‘timey-wimey;’ though it’s hard to see any of these extending beyond the program itself. I think the phrase ‘me time’ has a future. And I wouldn’t be surprised to see ‘bitcoin’ last the distance, as electronic currency supersedes the folding stuff and even the plastic. Also I feel confident in stating that ‘street food’ has already entered the lexicon for a considerable stay. But I can’t bear the thought of ‘apols’ or ‘totes’ or ‘whatevs’ remaining any longer in the lexical memory than the winners of last year’s game shows. Some neologisms deserve to be thrown out with the Christmas wrapping. 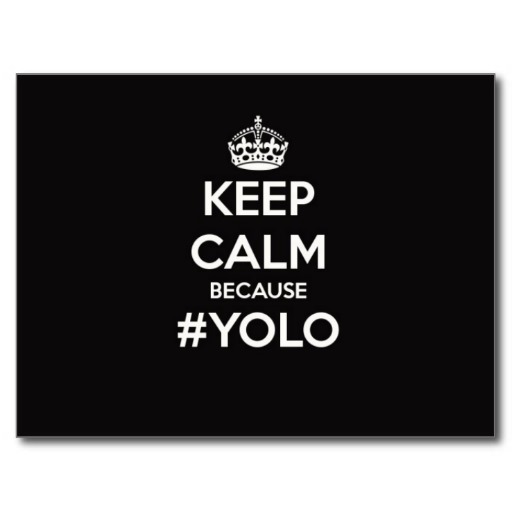 My current aversion is for YOLO (you only live once). I expect that for a while yet we’ll retain ‘Internet meme’. Have we not embraced ‘OMG,’ ‘LOL’ and ‘FYI’ as acceptable non-standard English? And some time will need to pass before we stop seeing ‘Keep Calm and (insert favourite platitude)’ T-shirts, grumpy cats and photo-shopped [there’s another safely-adopted neologism] images of Beyoncé. It’s not surprising to see many coinages from the 1990s and early 2000s already becoming passé, including: ‘word,’ (Oh, I sincerely agree with you) ‘diss,’ (I thus demonstrate my disrespect), ‘peeps,’ (I address all earthlings) and ‘newbie’ (I dub you a newcomer to the fraternity). By contrast, a few coinages from earlier decades have lost none of their power. ‘Cool’ remains cool. To ‘chill’ has remained cool also. Gym enthusiasts still ‘pump iron’. Amazed people still have their minds ‘blown’. ‘Hipster’ has made a comeback of late. ‘Big brother’ has gained a new lease of life. People still sit ‘in the hot seat’. We continue to extol excellence as ‘the bee’s knees’ or the ‘cat’s pyjamas’, and even ‘wicked’ has made an ironic return. So who knows? In another generation we may still use ‘photobomb,’ ‘epic fail,’ ‘sexting’ and ‘bucket list’. But let’s hope for better. Srsly. Last weekend someone wished me a ‘Happy Thanksgiving’. That was a first. Certainly this confluence of dates for the American national holiday of Thanksgiving and the Jewish festival of Hannukah is unusual. I have no problem if someone wishes me Happy Hannukah. I see no reason not to receive goodwill from a cultural or religious greeting on the date it falls due. So what if I don’t subscribe to Ramadan or Devali or Buddha’s birthday? I take no objection to acknowledging those who do. Don’t most people nowadays wish their friends and colleagues a Merry Christmas regardless of whether they accept Jesus Christ? New Year celebrations are wholly secular. And why we should we not celebrate Thanksgiving in Australia? I can think of a few good reasons to give thanks: the approach of summer, the advent of Advent, the cricket season, the end of the academic year, and of course Christmas (though for some it’s a season to be not so jolly). If you’re a US expatriate, it’s a national holiday: a great excuse for a feast. That’s the problem with Thanksgiving in Australia; most of us aren’t sure what the Yanks are celebrating. In all those American movies and TV shows it’s never made clear. Therefore to my ears, offering someone a Happy Thanksgiving in this land sounds like a cultural cringe too far. Some of my compatriots feel obliged to ape all things American. This seems like one tradition utterly misplaced. Besides, who are our US cousins thanking? And why? I suppose they’re thanking God; or in these profane times, perhaps it’s just a thank-you nod to nature. So what precisely are the Americans grateful for? The arrival of Christopher Columbus? The landing of the Mayflower? The War of Independence? Or an end to their Civil War? I know it can’t be a harvest festival, such as other cultures celebrate mid-year, when the crops are gathered. Sitcoms never taught me a reason for Thanksgiving. The answer lies in the Reformation period, when Puritans advocated replacing traditional church holy days (holidays) with days of fasting and days of thanksgiving. 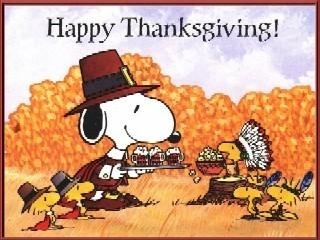 As the Puritans shifted their operations to the American colonies, they retained these special days of thanksgiving. Problem was, so did everyone else. Worshippers of every denomination celebrated their own types of fasting and days of thanksgiving. So a leader stepped up and cut through the Gordian knot. George Washington, as the first president of the USA, issued a proclamation for a national day of thanksgiving. The first one was held on November 26th 1789. Now they hold it on the fourth Thursday in November. 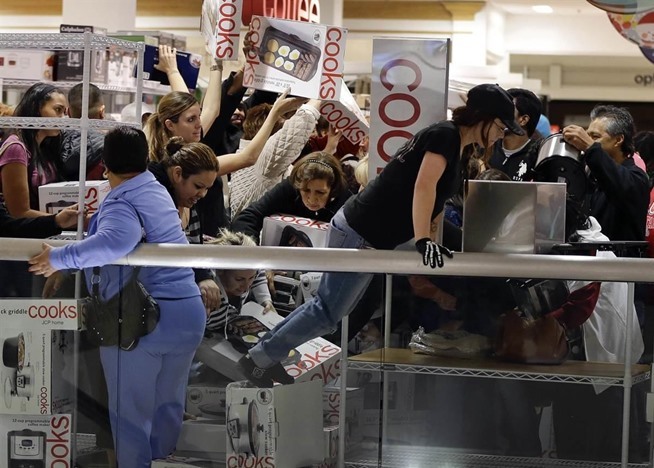 Online newsfeeds from the US have been lately full of the horrors of Black Friday. What is this terrible day? In Australia, we usually reserve such descriptions for natural disasters, such as bushfires, like the Black Friday fires of 1939, the Black Thursday fires of 1851 and the Black Saturday fires of 2009. Nope. Black Friday means something else in the USA, and it dominates every Google search. BF is the day following Thanksgiving: a kind of capitalist Advent, first day of a month-long spending splurge. Some states even designate Black Friday as a holiday for state government employees. Many schools take the day off. So why black? Well, the name started out as a description for people/ horse traffic chaos following Thanksgiving. Then later it took on the commercial connotation of being ‘in the black:’ in other words, a day for retailers to turn a profit. These days it’s well in the black with shopping pandemonium: not so much natural disaster as man-made mayhem. Fights among bargain-hunters are common, with reported increases in arrest for assault and bodily harm. And we thought our Boxing Day sales were crazy. So thanks for that, America. We’re happy to acknowledge your right to celebrate peace, love and gratitude on Thanksgiving but you can keep your Black Friday.